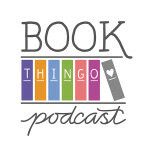 In *Keepers, General fiction, Reviews, Romantic elements, Young adult fiction. This is my favourite Melina Marchetta book. If my house caught fire, I'd probably grab it on the way out. I’ve made up my mind. This is my favourite Melina Marchetta book. If my house caught fire, I’d probably grab it on the way out. We have a signed copy of The Piper’s Son to give away. We’ll post details of the giveaway this week, so watch this space! Last year I declared Saving Francesca as my favourite young adult book, but that’s not totally accurate. It’s my favourite teen novel. 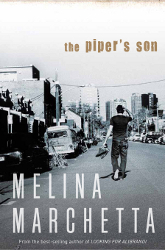 The Piper’s Son is a little more grown-up, and in this book, Melina Marchetta moves more firmly into young adult territory. I was crying before I got to the end of chapter one, right through to the end, and I loved every minute of it. Thomas Mackee, a character first introduced in Saving Francesca, is recovering from two years of self-abuse. When his Uncle Joe died in the London train bombings his family pretty much fell apart. Even before I cracked the spine of this book or read Saving Francesca, I had a sentimental attachment to Tom’s story because it’s how I first discovered Marchetta’s work. She took passages from this book and formed them into a short story for 2009’s Books Alive freebie, 10 Short Stories You Must Read. It was, by far, my favourite story in the anthology. Tom is in a shocking state when the The Piper’s Son begins—a far cry from the obnoxious but generally well-meaning boy in Saving Francesca. Although it isn’t a straight sequel, The Piper’s Son features familiar characters. Francesca and Justine are now just in the periphery of Tom’s life, and it’s clear that something irreparable happened between him and Tara Finke. Unlike her previous novels, Marchetta writes from two points of view: Tom’s and Georgie’s, Tom’s 40-something year old aunt. Marchetta switches between these two protagonists effortlessly, and it’s a wonder that she hasn’t written more stories with an adult perspective. Georgie’s story is a little more complicated. Her childhood always seemed clouded by the spectre of Tom Finch, her biological father, who died in Vietnam and whose body was never repatriated. Marchetta gradually reveals the profound impact that Tom Finch’s death—and their inability to bury him properly—had on Georgie’s family. When Tom (her nephew) hits rock bottom Georgie takes him in, and Marchetta takes us on an at times heartbreaking journey as they struggle to mend broken relationships and broken selves. It’s a dramatic story that I found much more emotionally draining than Marchetta’s previous books, but I couldn’t put it down. There is an extensive back story to this book that Marchetta reveals ever so gradually and deliciously. I love Marchetta’s work so much that I didn’t even read the blurb for this book, so I got the full impact of some of the earlier surprises—especially those around Georgie and her relationship with Sam, the father of her child. Some are simply devastating. Without sounding wankerish about it, there are so many layers to this book that even after five (maybe more, but I’m not admitting it) reads I’m still discovering nuances that I missed before. I want to talk about what happens in the book, so if you’re a big Marchetta fan and haven’t read this book, you might want to skip to the end to avoid potential spoilers. There isn’t much to the plot—Tom Finch’s body is being exhumed and returned to Australia, but it’s only one of the many catalysts for the emotional healing that Tom and Georgie so badly need. Instead, Marchetta does what she does best. She weaves together those seemingly insignificant events in our lives—meeting for coffee, hanging out at the pub, having family over for a visit—and uses them to challenge the characters to grow, with the help of the occasional bombshell. Tom is a real wreck, and even though I loved him Saving Francesca I was hard-pressed to find some sympathy for the slutty, doped up and thoroughly unpleasant person he is at the start of the book. Tom and Tara’s rift stems from a one-and-a-half night stand that occurred just before Joe’s death. Tara is now in East Timor, so most of their relationship development is shown through emails, phone calls and flashbacks. I’m not a big fan of the epistolary form but in this case it works, and their communication is sharp and very often amusing. The distance also helps to sustain the will-they-won’t-they tension through to end of the book. Georgie’s story is just heartbreaking. It’s not the kind of story I’d usually pick up, but…it’s Melina Marchetta! Without spoiling some of the big surprises of the novel, Georgie can’t leave Sam because of what he did for her when Joe was killed, but she can’t bear to be with him because of her guilt that they’d never have got back together if not for Joe’s death. Their relationship is skewed by something Sam did that Georgie can’t forgive, but that Sam can’t—and doesn’t want to—escape. It’s the romance reader in me, but I didn’t think Sam grovelled enough to deserve Georgie after my first read of the book. After subsequent reads I realised it’s all there in the subtext; it would’ve been untenable for him to remain grovelling for the rest of their lives—for him as well as for her. Nevertheless, Georgie’s epiphany at the end of the novel was slightly jarring and I would have preferred a less sentimental reason for her finally coming to terms with their situation. I don’t think you need to have read Saving Francesca before reading this book, but doing so adds deeper insight into Tom and his friends. The characters have matured but are still connected by the events in high school. Marchetta isn’t complacent with her returning characters. Francesca and Will are separated for most of the book—he’s in Sumatra working (and, I have to say, he’s even more swoonable now than he was in high school)—and Justine is suffering yet again from a musician boy crush. Tom’s presence is a source of conflict for these relationships. The dynamic between Will and Tom—never great even in Saving Francesca—make for some of the most awkward, hostile and unexpectedly hilarious moments. The Piper’s Son doesn’t whitewash Tom’s slightly murky relationship with Francesca, which I found fascinating, although I’m not sure Marchetta resolves it well enough for me. Francesca and Justine provide the only stable female figures, aside from Georgie, that Tom has for most of the story. Without beating us over the head with it, Marchetta demonstrates why it’s crucial for Tom’s recovery to have these very strong women around him. Months after I first picked up this book I was still thinking about it and digesting the story. It’s a much more accessible book than On The Jellicoe Road, but no less complex, exploring dark emotions and relationships and situations that are not easily unravelled. The story is very much character-driven, with internal and external issues colliding and creating friction and opportunities for self-destruction or healing. But what I love most about this book—indeed all of Marchetta’s work—is that the progress towards mending broken relationships happens in almost unnoticeable increments that aren’t fully recognisable until after multiple rereads. This, more than anything else, speaks to the richness and depth of Marchetta’s prose. This book is published by Penguin Books. If you click on the Penguin link below, it includes two videos of the author talking about the book, including the inspiration behind Tom’s book. 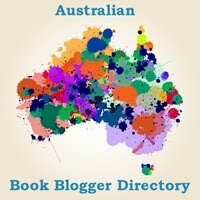 Tagged 2010 releases, 2011 releases, australian authors, australian characters, melina marchetta, romantic elements. Thanks, Anna. Let me know if rereading it changes your opinion. I love rereading her books – I never seem to get tired of them. The only one I haven’t reread is the fantasy novel, because some of it was just too harrowing for me to want to relive. Did you pick up that Justine’s musician crush is Ben from JR? woh, eagle eye, Adele! I absolutely loved Finnikin, and can’t wait for Froi’s book in October. Although I felt like the last third kind of fell apart a bit – every other page someone was crying because it was all so emotional… urg. Anna – I’m all about the romance, so the almost unsalvageable relationship between – was it Finnickin’s parents? I don’t own the book to check – did me in. And I just couldn’t bear reading about the mother’s torture again. Okay, i already know that I’m like a year late for this review, but i have just picked up the book and im finding it hard to get into?? if that makes any sence. I cant quite capture the theme? , and it’s very confusing for me. I fell inlove with Saving Francesca, but i cant quite put my finger on this one? Awsome review by the way. Thanks, Chelsea. I’m actually rereading this book at the moment! It has a different structure and feel to Saving Francesca, especially with Tom and Georgie having two intersecting but quite different character arcs. Do you think it might be partly to do with Marchetta writing in Tom’s point of view for parts of the novel? In her other contemporary novels she only writes through the female character, so it’s a little different. Tom is also not all that likeable at the start of the novel. 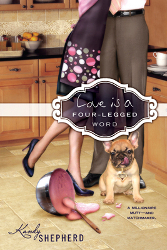 And yes, I think the themes in this novel kind of swirl around before the reader can get a handle on it. I must admit, I appreciate it more now that I’ve reread it a few times.